Writers throughout time have felt, as Kafka does, that text and image go together like peanut butter and jelly. For me, the supreme examples of this synesthetic synergy are the illuminated works of William Blake. In the present day, we are well familiar with graphic novels and comic books, but the format of such works tends to herd bite-sized texts into little dialogue balloons or captioned boxes to accommodate the dominant imagery. Why can't words and images dance more intimately and be created (as is seldom the case in graphic novels and comic books) by the same person, a writer-artist such as Blake, or a writer-artist in the waiting like Kafka? The possibilities of textual/image interfusions of great aesthetic and even spiritual power will be the subject of this blog. 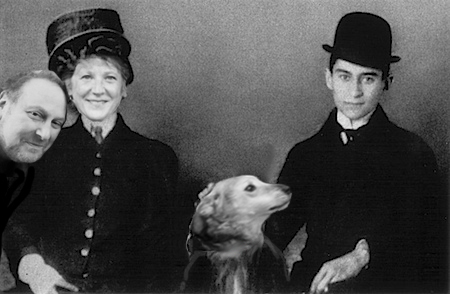 In the meantime, check out See Double books to see what Kafka and others are so excited about.